My heart will forever be in the bay area because I grew up there (keeping my 408 phone number until now tells it). I haven’t been back since I moved to Texas in high school, so this trip was so meaningful for me- So many throwback moments and tracing the footsteps of young Crystall in the city. 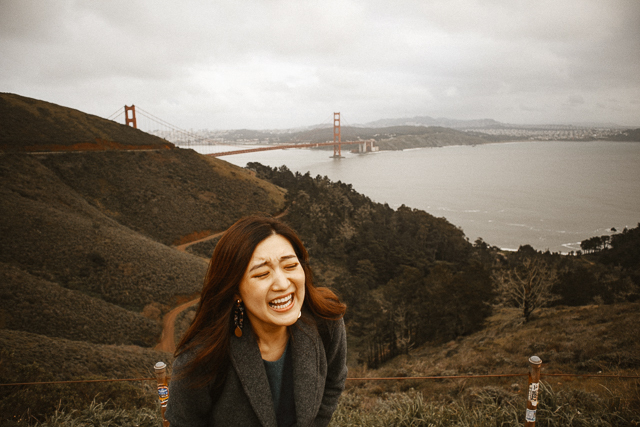 As long as you know what time of the year to go, San Francisco is a great weekend destination to frolick around. To recap my trip, I put together a weekend travel guide for you guys, so here we go! Getting into the city from the airport is about a 20-30 minute drive depending on traffic. We flew in late Friday night and left mid-Monday, so there was no traffic to deal with. It was about a $28-$30 Lyft ride one-way! Tip: If you’re at a hotel, be sure to take ask if the hotel offers any shuttles to and from the airport. 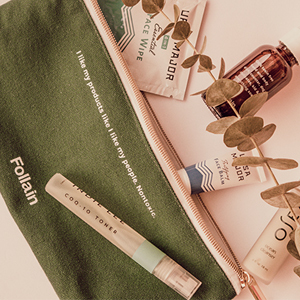 The San Francisco Airport has recently gone through some renovations, so don’t be surprised to see a very clean and new airport. There’s also a yoga room which I think is super interesting. I would recommend Union Square (more central and busy) or Nob Hill (quieter area). Try to avoid staying in southern areas, especially the Tenderloin District. It’s not the safest area and you don’t want to leave the city with a bad experience! We stayed at Hotel Fusion in Union Square and we were able to walk to most of the areas throughout the weekend. Airbnb is also a great, affordable option. You might come across some cute Airbnbs with stunning views of the city! Walk across the Golden Gate Bridge. Do it if the weather is cooperating! You can take the ferry back into the city on the way back if you’re tired. The entire Golden Gate Bridge is 1.7 miles. Not a bad walk at all! Just be extra, extra careful not to drop your phone. You’re definitely not getting that back. Take a selfie with the sea lions at Pier 39. 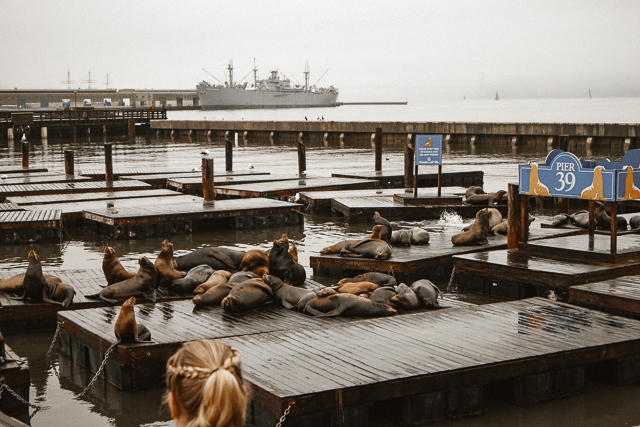 Spot the sea lion squad at Pier 39 and you can’t say you’ve been to this destination if you haven’t seen these smelly creatures! While you’re there, grab a seat next to the windows at Fog Harbor Fish House and treat yourself to a delicious seafood meal. I’m still drooling thinking about the Garlic Roasted Whole Dungeness Crab that we enjoyed! Taste the OG Clam Chowder at Fisherman’s Wharf. 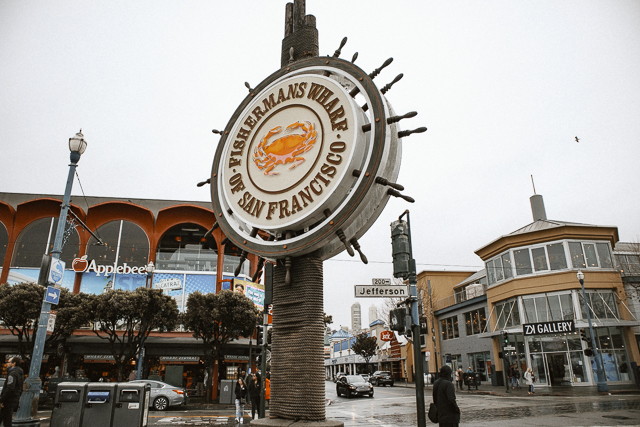 Fisherman’s Wharf is right next to Pier 39 and is also home to Boudin, where the original sourdough bread comes from. There are 29 Boudins throughout the city and you’ll see local restaurants using the Boudin sourdough bread as their main bread. 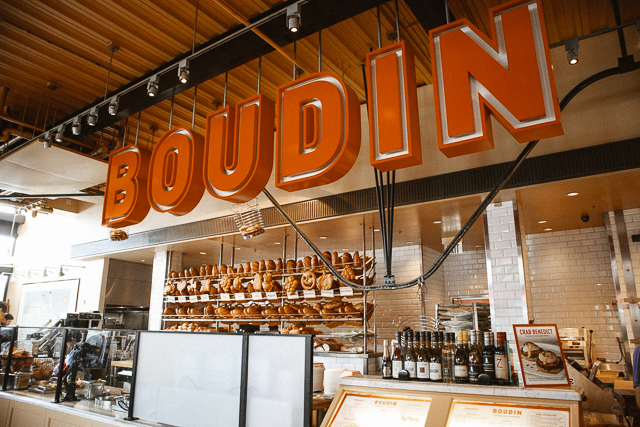 Boudin’s flagship location is in Fisherman’s Wharf and it’s worth a visit. Not only can you get a tour of how the breads are made and the bakers in action, but it’s also a dine-in restaurant. You must have the bread bowl clam chowder! Go on a night tour to Alcatraz. Alcatraz is a former prison and one of San Francisco’s most popular attractions today. Getting to this destination requires a cruise ride and you’ll actually see plenty of boats going back and forth from Pier 33. The Alcatraz cruise departs from Pier 33 Alcatraz Landing, which is approximately a 10-15 minute walk from Fisherman’s Wharf. The tour includes visiting the cell house where some famous prisoners lived, like Al Capone. Ride San Francisco’s iconic cable car around the city. Cable cars are part of the city’s history and also one of the things tourists love to do! You’ll also find that locals frequent cable cars as a transportation method considering the steep hills the city is full of. 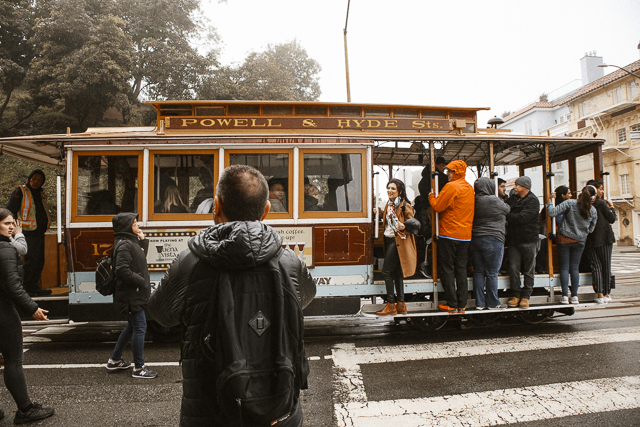 This article does a great job summarizing How to Ride a Cable Car in San Francisco, so check it out! Have a fresh, out-of-the-oven egg tart in Chinatown. San Francisco probably has the oldest and most established Chinatown in the U.S. According to this article, more people visit Chinatown than the Golden Gate Bridge! Visiting Chinatown is a whole attraction but having a freshly baked egg tart in Chinatown is a must. 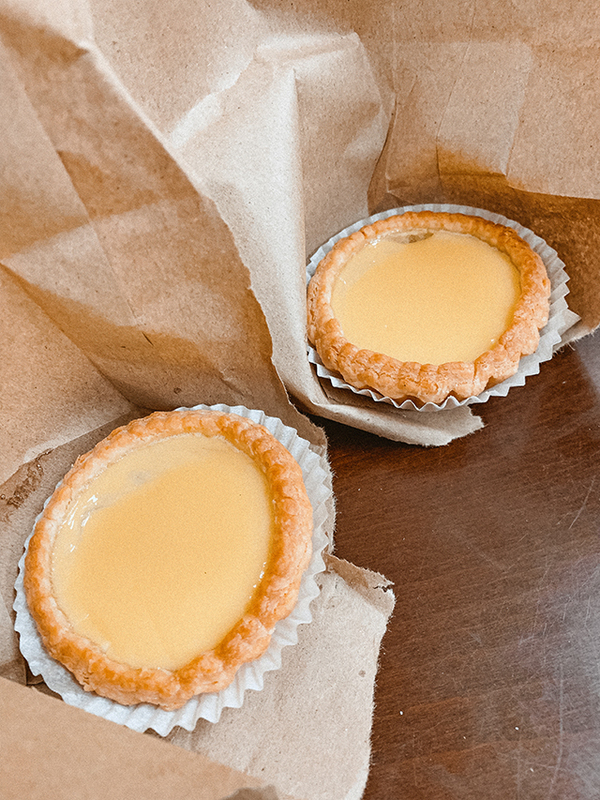 The Golden Gate Bakery is the most well-known spot among tourists for egg tarts. It was unfortunately closed during our visit, but we did go to Yummy Bakery, a spot that a local recommended for us. Don’t expect a dine-in setting- Just grab a fresh egg tart and walk around… That’s the charm of being in a city, right? Full House picture, duh! The rows of homes you’ve always seen in Full House? Yup, that’s Painted Ladies. Take that iconic picture so you can say you’ve been to it. If you’re alone, you’ll have more than enough people to ask to take a picture for you! You can also schedule a tour to go visit inside the homes. Palace of Fine Arts.This architectural landmark less than three miles from Fisherman’s Wharf makes a LOT of appearances in Instagram. You’ll find a man-made lagoon along with a couple of different buildings that take you back in time. It’s a great place for photoshoots or to walk around with some coffee. If you’re an art/architecture person, it’s definitely worth checking out. 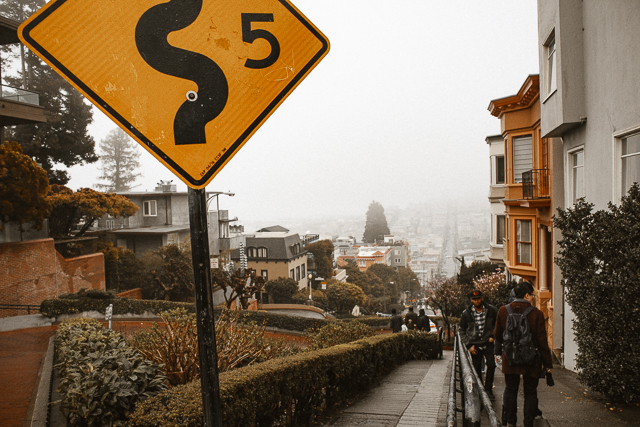 Go on an art tour at the Mission District.The Mission District is known for its large Mexican community, murals, and the Mission Dolores Park. If the day is pretty, pack a picnic and head over to the park to have lunch while enjoying the pretty San Francisco skyline. You can also spend a whole afternoon walking around enjoying different murals all over the district. We visited Foreign Cinema for dinner while we were there, and it’s such a cool place to check out if you have a chance to! 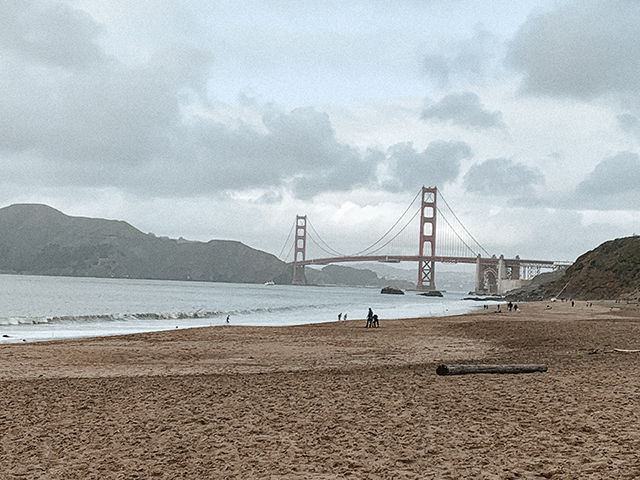 See the Golden Gate Bridge from fantastic photo spots.There are lots of photo spots for you to get a great picture of you and the Golden Gate Bridge. 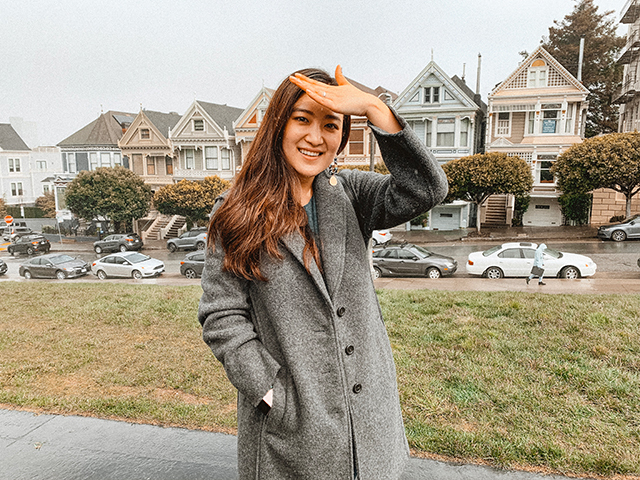 Here are my recommendations: Coit Tower, Crissy Field, Fort Point National Historic Site, Baker beach, Battery Spencer, Hawk Hill, Kirby Cove, and Vista Point. 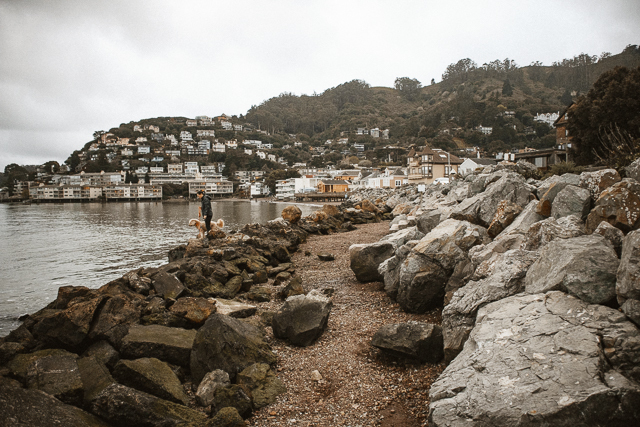 Drive over or walk over the Golden Gate Bridge to Sausalito.Sausalito is on the other side of the Golden Gate Bridge that is worth a visit. You can get a great view of the city skyline and also enjoy some quiet time away from the city! It really reminds me of a calm, peaceful, stress-free coastal town. If you decide to walk over to Sausalito from San Francisco across the bridge, you can also take a ferry back! 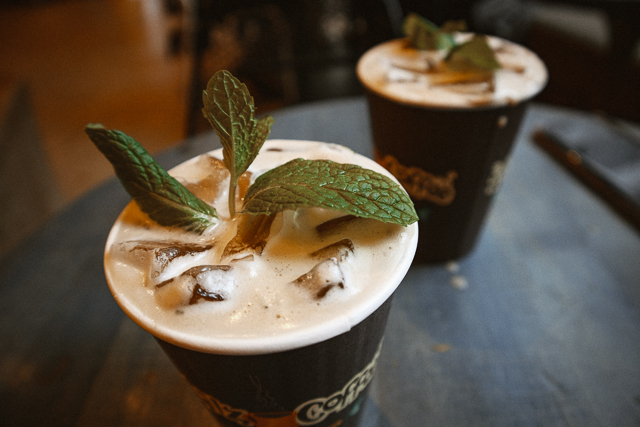 Last not but not least, drink the Mint Mojito coffee at Philz Coffee. 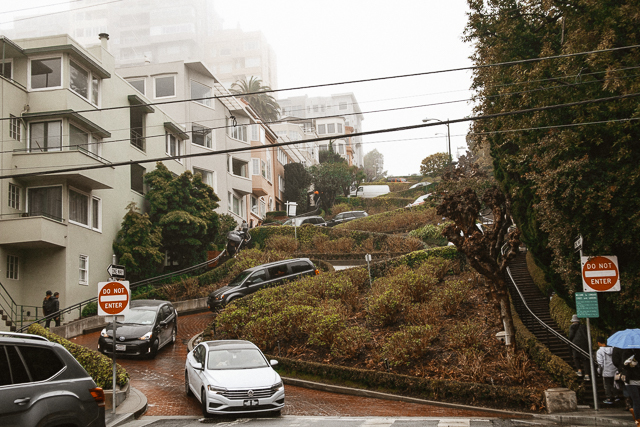 There are a couple of different locations within San Francisco, so search the nearest spot. Make sure to drink it iced! Know when to go. 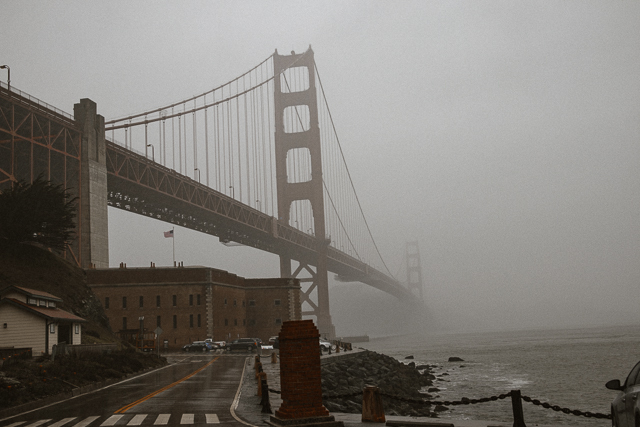 Avoid rainy seasons and don’t let the weather ruin your San Francisco experience. September and October are typically known to be the best time of the year to visit! 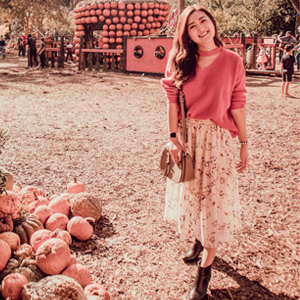 No matter when you go, always carry around a cardigan.Be prepared because the weather fluctuates so much throughout the day. That’s bay area for you! Wear comfortable shoes. You’ll be walking around a lot and there’s a lot of incline going on in certain areas! DO NOT go into the Tenderloin District. Although historic, this area has become very unsafe, especially within the last couple of years. If possible, try avoiding this area by all means. 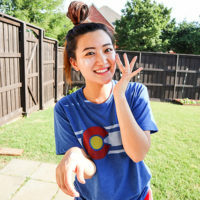 If you’ve made it to the end of this post, congrats and thank you! 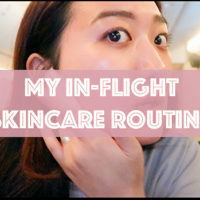 Make sure to also watch my San Francisco vlog that I put together.